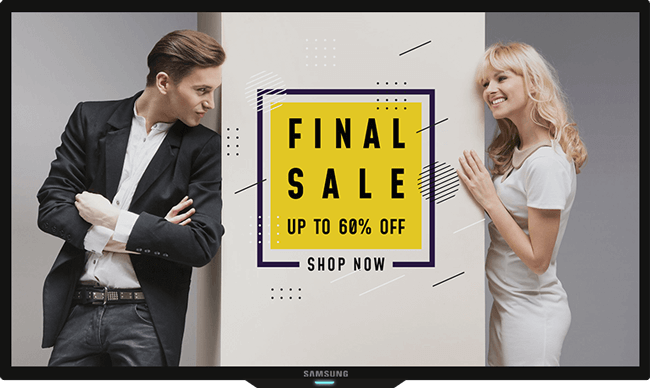 With Voolsy screen as a Digital signage solution, one can play list of slides, images or videos of your brand. It is easy to mix and match videos or images, schedule different promotions according to days or share your social media feeds of loyal customers. Voolsy Screen lets you manage all the things with a centralized system across multiple screens at remotely placed stores. Seasoned clothing is one of the major reasons why customers decide to shop. 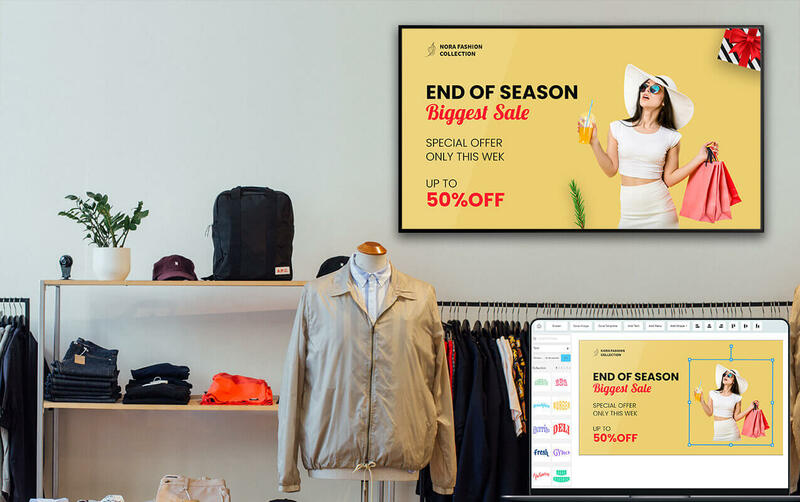 Digital signages promoting new arrivals for the seasons or displaying seasonal offers may prompt them to make unplanned purchases. Pre-season offers or events can be exhibited over signages to bring in more crowd. 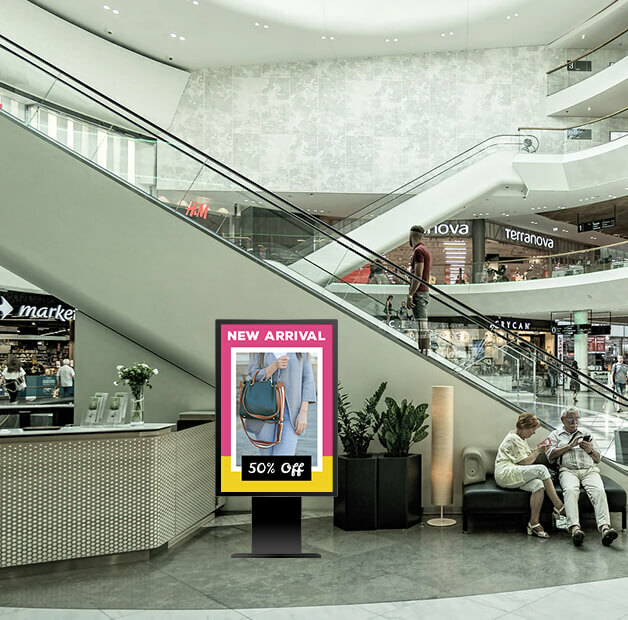 The quick plug and play solution makes it easy to make instant updates to signages in no time. Deliver a customer experience to help create impactful brand awareness and lasting loyalty. 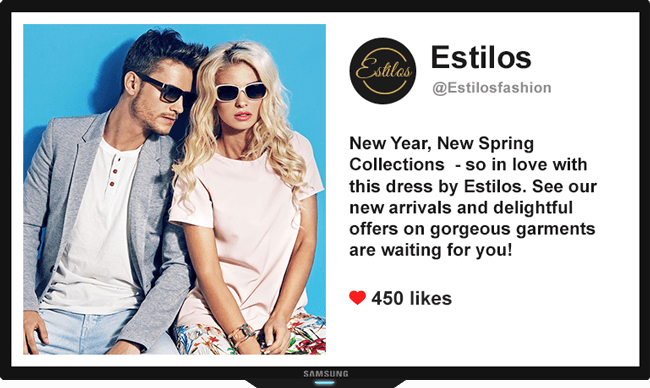 Build brand recognition image through relatable and common content across multiple stores. 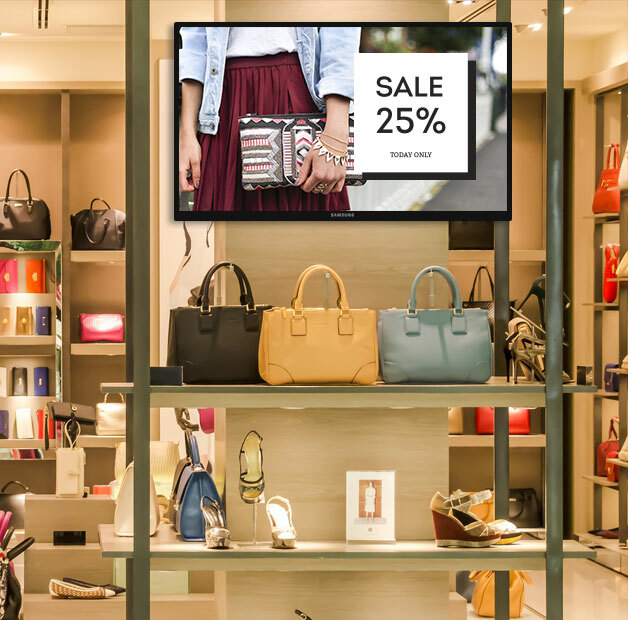 Develop a network of digital signages that is scalable, stable and flexible to your store needs. Set your marketing strategies right by providing vital promotions at right time and place. How Voolsy Screen can help! Get filtered feed your social media accounts like Twitter and Instagram. Make customer share your store experience online. You can moderate post and control it from any computer worry free. 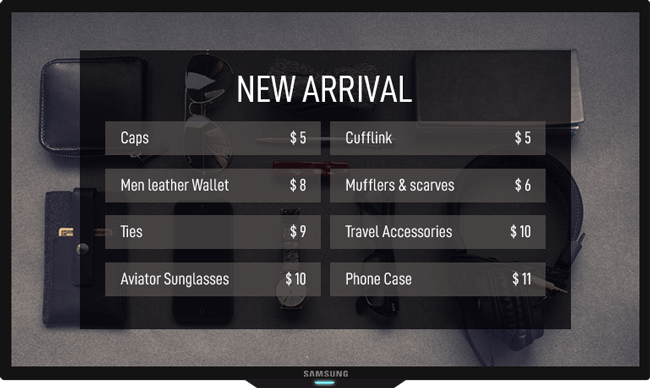 Introduce special offer or new product directly at your screen. You can share people using the product in high resolution images or videos. Create your custom webpage content for your screen. 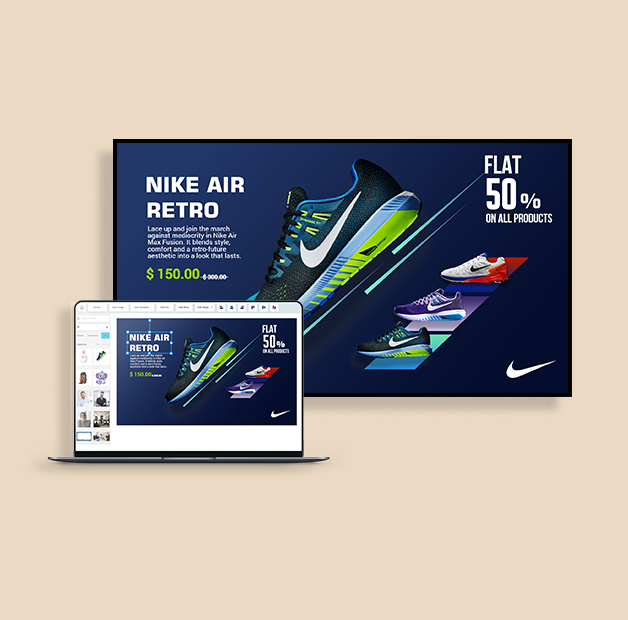 Schedule or display live HTML content to engage your audience to make them more interested in your store. Our system offers easy control over multiple devices from a central location. Flexible and easy to adapt to changing marketing strategies in retail. We have a scheduling tool that lets one create regular or event-based schedulers as needed. The system works on offline mode once the content is downloaded and stored in the system. We are a cost-effective and reliable solution with solid support team. 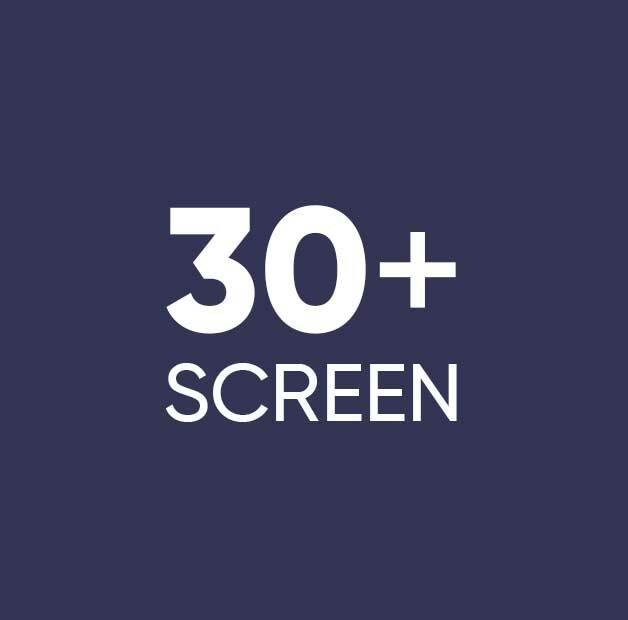 Got more screen for display? More screens brings more timing to manage. Do not need to worry, beacuse we are here to help you make things smoother for you! Copyright 2018-19, Voolsy Networks Private Limited.